Throughout his 30 years of experience, Dr. Brown has helped many to find freedom from pain in the back and neck as well as other areas of the body. 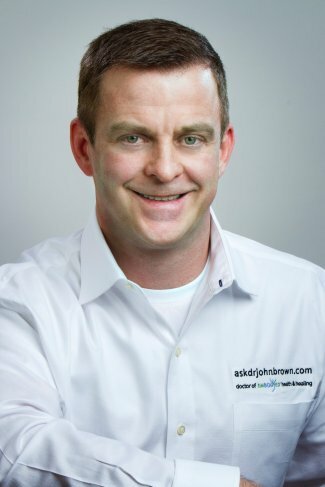 He empowers each one of his clients to take control of their own health and helps even those with the most difficult conditions to find improvement in their state of health. Dr. Brown educates his patients and provides motivation and inspiration to help them realize true health. The assistance of professional staff and comfortable environment offer a perfect environment to relax your body. Our massage treatments don’t just work on your body. Having a quiet time and relaxing your body muscles rejuvenates your brain as well. Even a single session triggers a soothing tone in your mind, which relaxes your soul. Our commitment towards physical and mental rejuvenation translates into a serene meditative environment for you. We create a calming environment during our sessions, which allows you to meditate and have a relaxing experience at the same time. Our rooms are sound-resistant and have soothing colors, which helps in the process. With our team of qualified and experienced staff, we are capable of providing full support for all our clients. Our professionals are here to answer your questions and resolve your queries. You can schedule an appointment with us according to your need. Book a natural healing session with Embodyed now! With massage and therapy experts, we combine our comfortable facility with organic products. Hence, you receive exceptional massages and therapies performed by the best in the industry. Our ability to offer multiple therapies and healing treatments comes from the experience utilized by Dr. Brown. The main objective of ours at Embodyed Health And Healing is to offer you multiple ways which will allow having a total care of your mind and body. The stored physical and the emotional pains can be released if you have the help of Dr. Brown. His experience and knowledge in this field will help you to have an approach to various innovative means to have such a relief. It can be said with certainty that the massage therapy that we offer would enable you to be relieved of the various pains that you have and provide you with a means to have a healthy life. My sister got a few appointments at your center and recommended that to me. I had already tried many facilities and professionals, so I was a bit suspicious. But your treatments have enhanced my physical performance and mental peace. Thanks for the inviting and calming environment, Dr. Brown! Your sessions solved my back problem to a great extent. Your methods are exceptionally effective, and I recommend it to every person living in an urban lifestyle. At Embodied, we focus on treatment excellence with a comfortable environment, friendly assistance, organic products and advanced technology. If you look at our gallery, it will give you a comprehensive idea of why clients admire our facilities. After consulting with hundreds of clients and working for years, we have gradually established a flexible opening hour to match the time frame that suits our clients. You can have a look at our opening timing right here. Our creativity lies in our ability to customize weekly opening hours. We optimize our opening hours in such a way that every client gets to pick a session time conveniently. Hence, you can smoothly blend our appointments in your daily schedule.